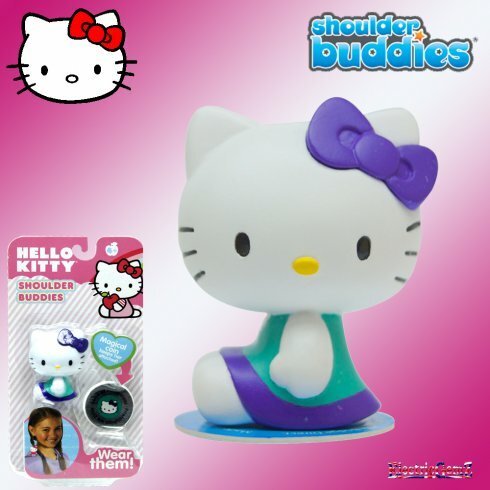 Shoulder Buddies are collectible friends that you can wear everywhere - use their magic coin to attach to your shirt, bag, hat and more! Suitable for ages 4+, this series features Hello Kitty and there are 8 different colours to collect. Shoulder Buddies are collectable friends that you can wear everywhere - use their magic coin to attach to your shirt, bag, hat and more! 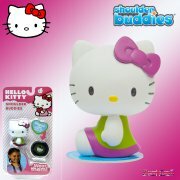 Suitable for ages 4+, each Shoulder Buddy has a unique design on its tummy and soft colourful hair to style. 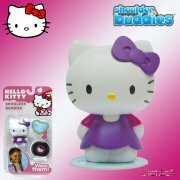 Use the Collector Card included to keep track of your collection and learn the "smarts" your Shoulder Buddies have to offer. "Smarts" are caring life mottos to share with friends and family. I love to share my "superstar smarts" so everyone can shine like me! 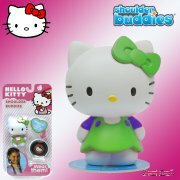 Shoulder Buddies are approx 10cm in height (including hair), come in a sealed pack, and there are lots to collect. They make excellent party bag items or stocking fillers. 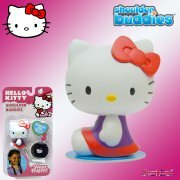 There are lots of different Shoulder Buddies at ElectricGemZ. Search for Buddies in the box above.